In the whirlwind of fashion week, it can be easy to forget why you're going to show A versus show B. 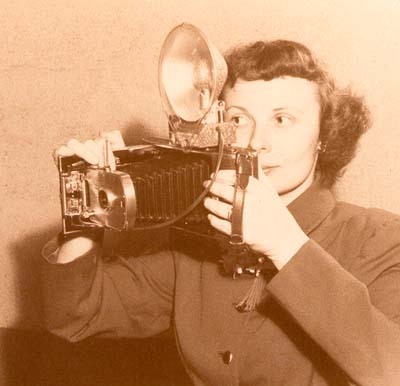 But there was a very practical reason to go to the Walter show: to see what we'd all be wearing next spring! Love her style--a combination of punk and femme. We dread seeing lots of bland clothes on the runway because of the economy. So it was a relief to see that Walter didn't shy away from prints, because the general appetite for them is far from sated. Here there were plenty of florals and super-saturated colors. 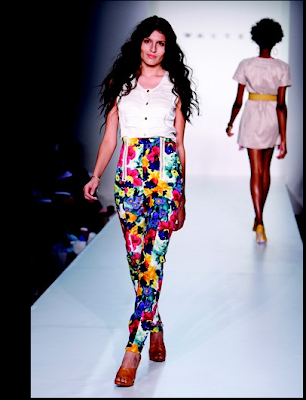 A signature floral print for spring in high-waisted pants with exposed zippers. High-waisted skirt and shorts that build on the short poufy skirts popular right now. 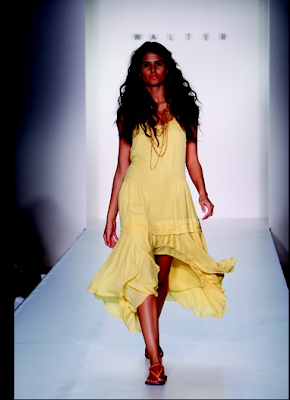 This long flowy dress looks beautiful in motion and deserves a trip to St. Barth's. 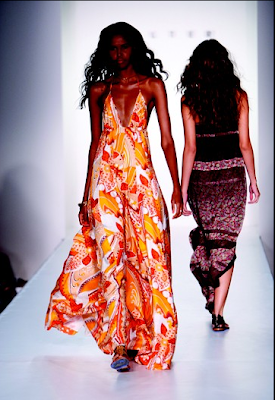 An eye-catching orange print maxi dress. You can find full coverage of the show on WWD.com.